I've read several books on this topic but this one was not as helpful as I'd hoped. The author makes some great points but they are hidden in long meandering narratives. The book is full of weird stories and examples that I don't think most people can relate to. 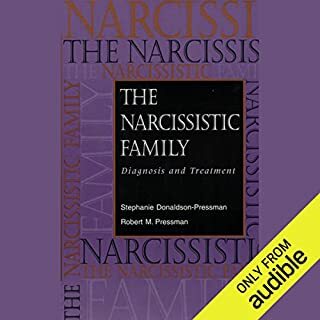 The Narcissistic Family is a better book on this topic. Dont let the fact that it says its written for clinicians scare you away, it's very accessible for those of us interested in learning more about our families of origin and their dysfunction. Initially the narration took some getting used to... But once I was into the rhythm of the narrator, the content delivered was useful in many ways. 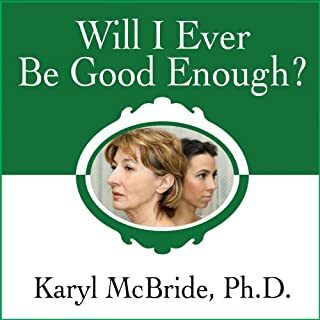 There are certain instances where I did not agree with some of the generalizations made by the author, but there was also a balance of self awareness In the writer's approach, expressed as both experienced and fallible. 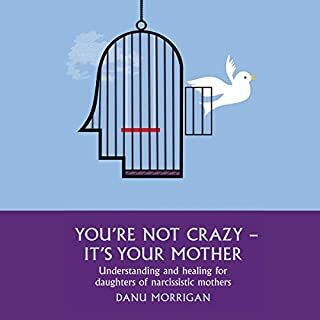 The book includes Many hard stories from hard childhoods, and a comprehensive takeaway on how to approach recovering from narcissistic abuse. 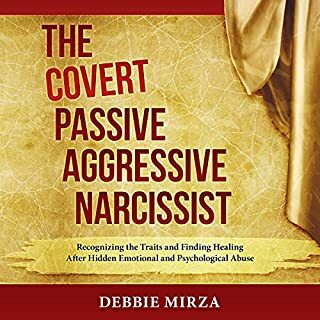 I recommend this book for anyone trying to break loose from dysfunctional relationships of any kind, and to those seeking external resources and insights into this world of narcissism and the tools to escape from a distorted reality. I really, really enjoyed this book. Very eye opening. 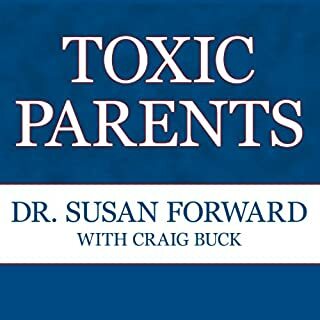 My one and only gripe would be that I wish it gave a little more insight into how to fix, or change, the traits/feelings/etc that we have due to our narcissistic parents. She makes suggestions here and there, but being more straight forward would be helpful. Overall great book though. Worth reading! What would have made Trapped in the Mirror better? Would you ever listen to anything by Elan Golomb again? I certainly would give her other works a chance. She is erudite to say the least. Maybe it's just me, but the performance was one of the worst I've heard. It was completely unpalatable and absolutely added to the abrasiveness of the text, and, in the end, made me feel like I was being scolded for the entire presentation. The nervous mannerisms and cadence led me to believe that the narrator was far from a professional in the field. More practice and a conversational tone would certainly have improved the performance. 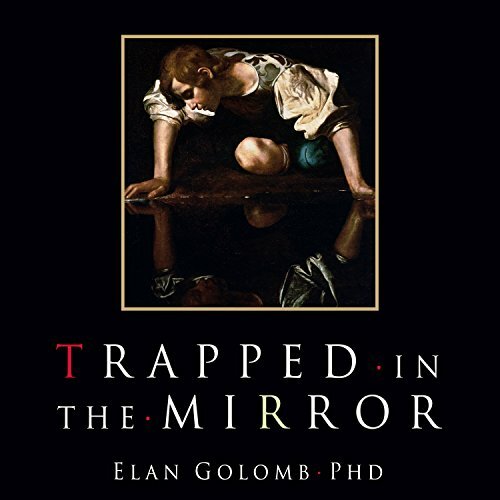 If you could play editor, what scene or scenes would you have cut from Trapped in the Mirror? I would have trimmed all the case studies to the relevant points without all the derogatory accusations. I would have cut the section on lesbianism. I understand that perhaps in some cases it can be a reaction as described, but I thought she painted those portions with far too broad a brush - essentially saying "Lesbianism is usually a reaction to this bad thing or that bad thing." I'm concerned that this book came highly recommended and I found it not helpful, informative or interesting. It makes me wonder if I would have gotten more from it by reading it in print. I liked the book and I liked the examples. I just think it could have been shortened because the listening time was 10 hours. I did like the last chapter best and did find it helpful. I would recommend this book because of the excellent experience and insights of the author. 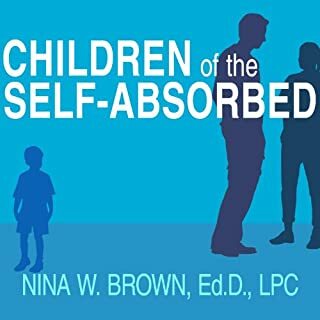 It is an excellent look into the minds and hearts of the children of narcissists. I love audio books in general because of my busy life. Angela's reading style is unique and I can understand how some might find it difficult but I did not. Angela's diction is excellent and her style of reading helped keep me focused on the content of the book. It helped me think through the word she was saying so that I can integrate the concepts into my life. I'm listening to it a second time already after just finishing it. It is that important to me.